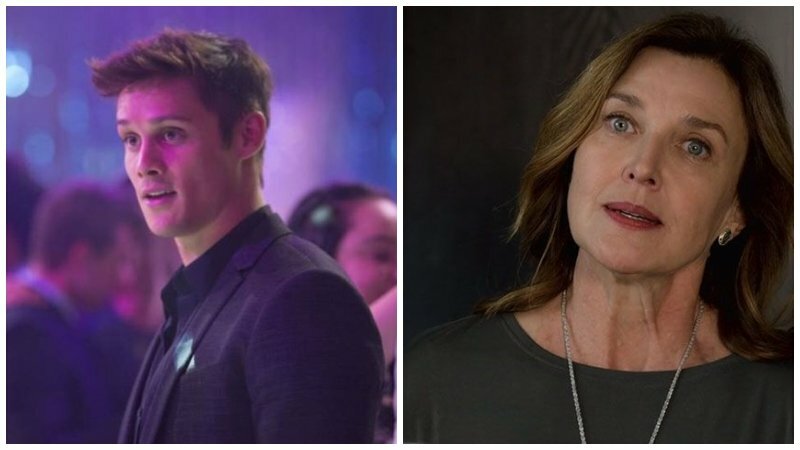 According to Deadline, Timothy Granaderos and Desperate Housewives alum Brenda Strong have been promoted to series regulars for the upcoming third season of Netflix’s teen drama series 13 Reasons Why. Granaderos appeared in the last two seasons of the show for a recurring role as Montgomery, who is known as a jock and bully at Liberty High. Last season, Montgomery played a big part in the series’ conflict by secretly terrorizing the main characters who are testifying at Hannah Baker’s trial in order to protect his friend Bryce. Strong appeared in season 2 portraying the role of Nora Walker who is the mother of Bryce, the show’s main antagonist. 13 Reasons Why season three will begin production later this year with 13 episodes scheduled. Brian Yorkey will be returning as the series’ creator and showrunner, and will also return as an executive producer alongside Joy Gorman, Mandy Teefey, Kristel Laiblin, Tom McCarthy, Steve Golin, and Selenza Gomez. The new season will be produced by Paramount Television and Anonymous Content for Netflix. The first two seasons of the series are currently available now on Netflix. Season 3 includes Dylan Minnette (Goosebumps) as Clay Jensen, Brandon Flynn (True Detective) as Justin, Alisha Boe as Jessica, Christian Navarro as Tony, Miles Heizer (Love, Simon) as Alex, Ross Bulter (Riverdale) as Zach, Devin Druid as Tyler and Justin Prentice as Bryce. Katharine Langford who played the first season’s main character Hannah Baker won’t be returning for the third season. Based on the best-selling books by Jay Asher, the Netflix Original Series 13 Reasons Why follows Clay Jensen (Dylan Minnette) as he returns home from school to find a mysterious box with his name on it lying on his porch. Inside he discovers cassette tapes recorded by Hannah Baker—his classmate and crush—who tragically committed suicide two weeks earlier. On tape, Hannah explains that there are thirteen reasons why she decided to end her life. Will Clay be one of them? The post 13 Reasons Why Promotes Two Cast Members to Series Regulars appeared first on ComingSoon.net.